Counter Display Rack - G.A. Systems, Inc. The Counter Display Rack is great way to elevate your non-perishable food products, from products, to fresh produce, to bags of healthy chips. Designed to sit on any counter and used with three 4″ deep wire baskets that will accommodate multiple food items. Available in bright colors to attach your customers. 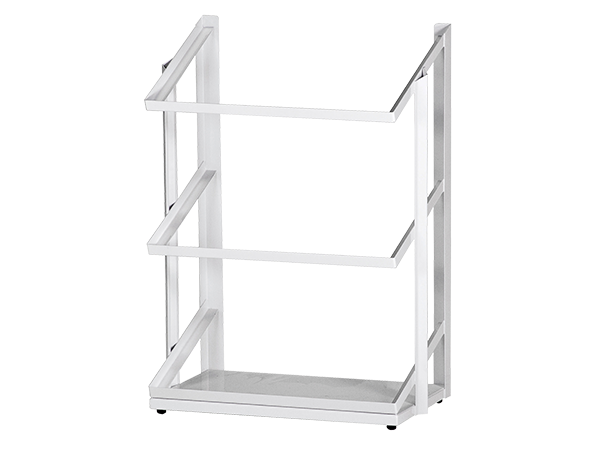 Standard color for the Counter Display Rack is white, although custom colors are available that matches your decor or brand. Constructed from heavy gauge metal and is powder coated to last for generations. 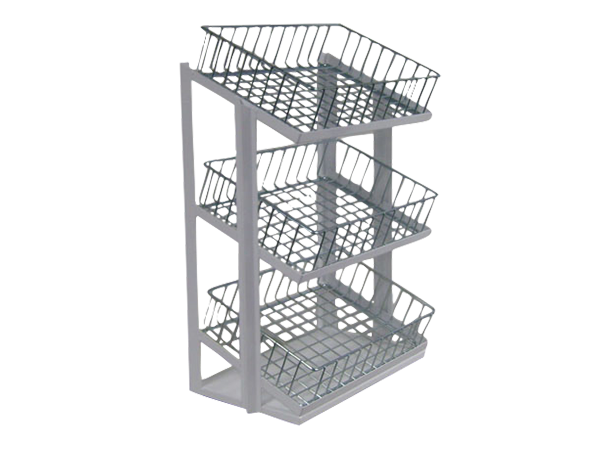 Holds three wire baskets that will accommodate fresh produce, bags of chips or any other non-perishable food items. Made to sit on any counter and has rubber feet to not harm your counter top and keep it from moving.